ADJUSTABLE BELTS: This Backpack comes with 8 adjustable straps which all help you be very comfortable while travelling. Padded waist belt along having sufficient length, a width of 8 cm with attached adjustable buckles which is comfortable enough to fit on your waist for better balance while travelling. 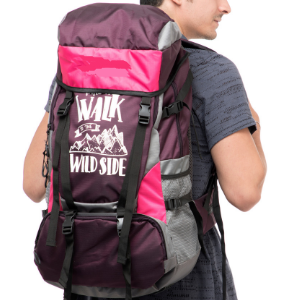 PADDED BACKSTRAPS:: Backside Honeycomb padded structure which helps you travelling comfortably all day long provides proper air circulation while in summer also to prevent you feel more relax. "S" Shaped Straps structure which fits on your shoulders very comfortably, having the width of 7 cm. Backpack bottom bag stud made of rubber act as a guard for your bottom surface and also makes the vertical structural loads of the bag evenly distributed. 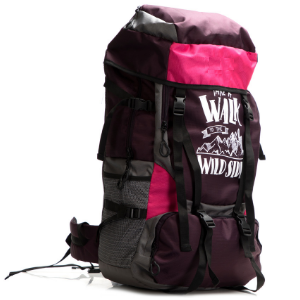 MULTIPURPOSE : It can be used as a multipurpose backpack as its good to go for hiking, trekking, overnight trip, camping or biking. This bag comes with outer and inner polyester fabric which is water resistant to protect your accessories up to some extend while travelling. Mufubu is all about our Vision, we design and produce quality lifestyle bags that becomes your life companion in every walk of your life. These lifestyle Bags not only offers style but also unique functions and features that will certainly set you apart from the crowd. 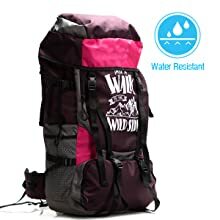 This Hiking bag is comfortable and easy to carry, ultra-light and durable with a large capacity to meet the different requirements of both men and women. A great companion for your travel. The 55-litre capacity is spacious and can accommodate your hiking gear and belongings with ease. The broad, adjustable straps distribute the weight evenly on your shoulders which allow for a comfortable trekking experience. The front compartments can be used to store your essentials which facilitate easy access. This rucksack is equipped with a Cap closure which keeps your belongings safe and securely stored while you are on the move. This polyester rucksack has a spacious capacity of 55 litres which lets you store all your trekking gear in an organized manner. 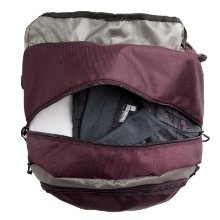 This bag has a large compartment for your gym clothes and other personal items. The large roomy compartment helps in efficiently access your items without any hurdle. The water-resistant polyester fabric protects your belongings from adverse weather conditions while you are trekking or hiking. 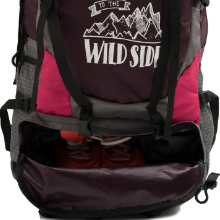 This rucksack is a perfect trip essential for hiking, climbing, biking, and camping. 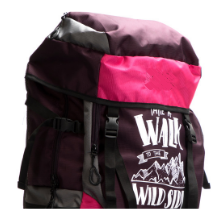 Sufficient small and large pockets in this rucksack can easily hold all your hiking and travel gears.